Will your genetic code impact the effectiveness of your medications and the possibility of adverse drug-related events? The answer to this question could help to identify which medications you should — and shouldn’t — be taking. And the good news is that a simple genetic test can give you the answer. Keep reading to learn more about the science behind Pharmacogenetic testing, or PGX testing, and how it may help determine which medications would be most appropriate for you. Pharmacogenetics (also called pharmacogenomics) is the branch of science that examines how inherited differences may impact individual responses to medication, according to a publication from Johns Hopkins University. A growing body of research is giving us a greater understanding of the role of genes in our health. One well-known finding is the inheritance patterns of some illnesses, such as heart disease, diabetes and cancer. A patient’s unique genetic profile, determined with a simple test, can be used to deliver personalized medicine, in which treatment is based on individual characteristics, instead of a traditional one-size-fits-all approach. Now that we have ability to select a personalized treatment regimen based on your genetic profile, it may help to prescribe more effective medications and reduce the risk of adverse drug-related events. Adverse medication-related events are responsible for 100,000 deaths each year in the United States. And as we’ve seen, genetic variations may affect how some patients metabolize and respond to different medications, including overall effectiveness and the risk of adverse events such as falls, hospital admissions and emergency room visits. 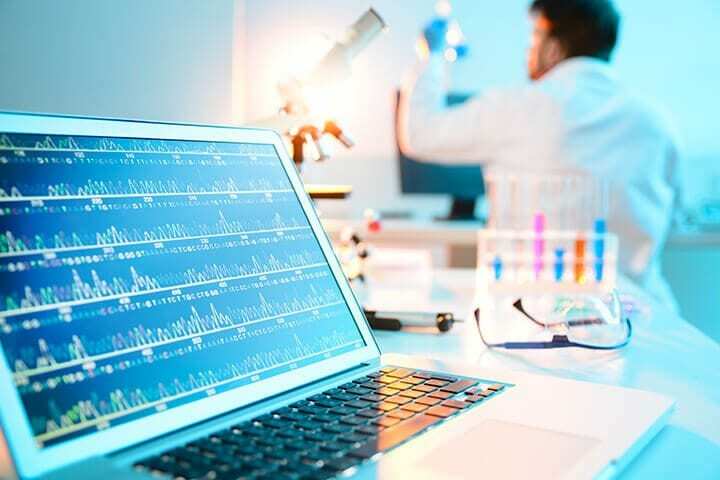 That’s why MedTek21 developed an innovative software platform to continuously monitor a patient’s genetic profile for possible interactions with various medications, including antipsychotics, anticoagulants and pain medications. The software proactively identifies genetic variations that could impact how a patient will respond to a given medication. This helps to ensure a safer and more effective treatment regimen and lowers the risk of drug-to-gene interactions. What are the benefits of Pharmacogenetics? According to Marcus Wilson, R.Ph., CEO of Integrity Pharmacy, over 75% of patients have at least some genetic variations that will affect how their bodies respond to different medications. In light of this knowledge, Integrity has announced a partnership with MedTek21 to incorporate Pharmacogenetic testing into the pharmacy’s comprehensive medication management services. Pharmacogenetic testing is used to determine the correct course of treatment, along with other factors — including age, lifestyle, other medications and overall health. How can Pharmacogenetic testing help you? To learn more about this and other benefits of Integrity’s medication management program, contact us at any time.